In August 2016, the contract for a Definition Study of the European MALE RPAS (Medium Altitude Long Endurance Remotely Piloted Aircraft System) Programme was awarded by OCCAR to Airbus Defence and Space GmbH, Dassault Aviation and Leonardo S.p.a.. The contract kick-off meeting chaired by OCCAR and involving the three companies as well as the programme Participating States was held on 6 September 2016 at Airbus premises in Manching/Germany. The Definition Study Contract award marks the initial phase to deliver this important European capability. The MALE RPAS Programme will further develop and strengthen the European industrial expertise and skills in this essential technological area. OCCAR awarded the contract in the name of the four programme Participating States France, Germany, Italy and Spain. 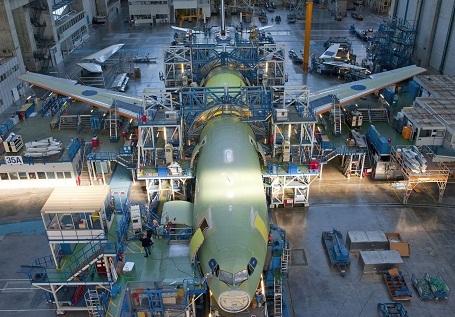 The three companies Airbus Defence and Space GmbH, Dassault Aviation and Leonardo S.p.a. are working together as co-contractors to perform the Definition Study. OCCAR and the European Defence Agency (EDA) will cooperate in respect of air traffic insertion of MALE RPAS and the potential participation of other states in future phases of the programme. “The EDA congratulates OCCAR, the four contributing Member States and the companies involved on this important step towards the development and delivery of a European MALE RPAS capability. This is a decisive step in the direction set by Heads of States and Government at the European Council in December 2013 to prepare the next generation of MALE RPAS in Europe. It is also a concrete example of the need to ensure the necessary European strategic autonomy as foreseen in the EU Global Strategy. The Agency will continue to support the programme building on the work already achieved”, said Jorge Domecq, EDA Chief Executive. MALE RPAS will be a remotely piloted air system for Intelligence, Surveillance, Target Acquisition and Reconnaissance (ISTAR) missions. The first step of the programme is a two-year definition study to define the baseline specifications/design for the future MALE RPAS. The definition study includes both a System Requirement Review (SRR) and a Preliminary Design Review (PDR). Air traffic integration and certification of the MALE RPAS is a key objective of the programme. Preparation for the potential next steps (development and production) will be part of the activities to be performed during the second year of the definition study. The entry into service of MALE RPAS is aimed at the 2025 timeframe. Prior to the contract award, the MALE RPAS Programme was formally integrated into OCCAR with the signature of the respective Programme Decision by the members of the OCCAR MALE RPAS Programme Board. The OCCAR MALE RPAS Programme Division will be located in Munich/Hallbergmoos.